Our editors and writers are adept at handling a wide array of material, and with years of experience, no content is too technical. The following examples offer insight into the range of work we produce. 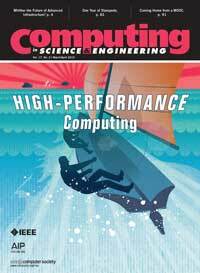 This bimonthly magazine is co-published by IEEE, IEEE Computer Society, and the American Institute of Physics (AIP). As you can see, the magazine has a decent amount of math and program code. Our writers and editors are well-versed in formatting and editing highly technical work focused on many topics. We edit and proofread many books (technical and non-technical). Here is a recent example of a UCLA professor's political and economic history book that we proofed (available soon through Yale University Press). Collaborating closely with the art director and graphic designer on a rebranding campaign, a Shores Editorial Services member wrote and restructured the school's catalog and website presence. Our team oversees full project supervision and editorial management of 10 bimonthly and quarterly magazines. Our company oversees full project and editorial management for this bimonthly magazine, along with nine other titles. 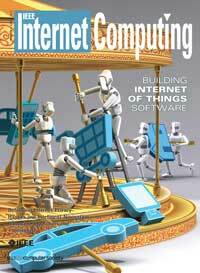 We also assist with editorial work for three other technical magazines. In the slideshows below, you can see a rich catalog of technical publications that we help produce. Working with the World Bank, our team members produce economic and educational content that speaks to a variety of stakeholders. Recent work includes writing, editing, and designing brochures, executive summaries, and extensive technical reports. Our team recently helped launch this Cloud Computing portal as part of a special IEEE/IEEE Computer Society Initiative. We routinely populate this portal with new content. Our team is also working with IEEE Computer Society and the Center for Secure Design on the IEEE Cybersecurity portal. We provide editorial support for these three publications, varying from developmental to light editing. One is a monthly and two are bimonthly magazines.